Just over six years ago I walked into this little bookstore called Books of Wonder for the first time in my life. And on the front end cap, directly facing the revolving door, on the middle shelf, was a thick book with a purple cover and a gold spine entitled The Claidi Journals . I had heard of Tanith Lee before, but never read any of her books, and I had her sorted in my mind as a dark fantasy/horror writer. 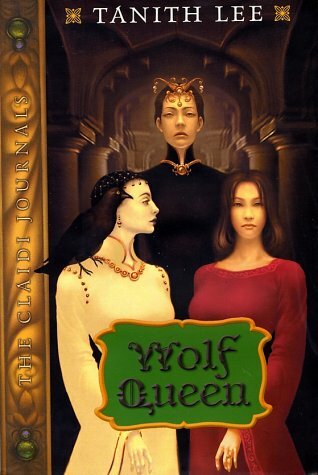 As I picked up the hefty volume and examined it, it appeared it was actually an omnibus collection of three novels: Wolf Tower , Wolf Star , and Wolf Queen . A fourth and final installment--Wolf Wing --was subsequently published. I usually prefer to start with the original volumes themselves and then invest in an omnibus edition if I like them and if it's a particularly attractive edition. In this case, however, something about the collection grabbed me. DH and I were stopping off in New York to visit my sister-in-law and her family on our way to Italy to visit my parents, and I was in need of some good trip reading to take with me. Then I made the mistake of opening the book and reading the first few lines. 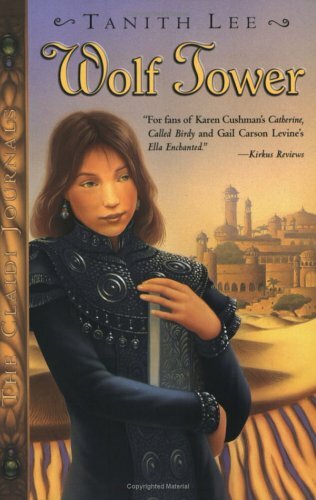 Reading Order: Wolf Tower , Wolf Star , Wolf Queen , and Wolf Wing . Oh yes, excellent recommendation. I believe when these books were coming out, I was rather *obsessed* with finding out what happened next. I think I made it a MISSION to get WOLF WING after I found out there was ONE MORE. These are already in my TBR pile and I'm so glad to hear you liked them. 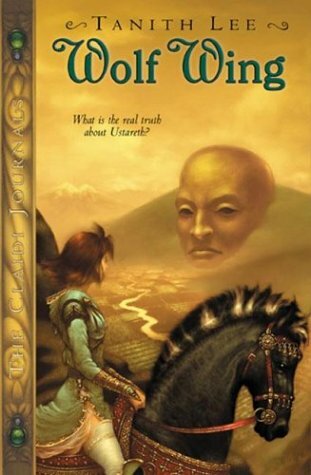 I have read one other Tanith Lee book and enjoyed it. Janicu, see? Look at me not adding to your TBR at this very moment. ;) Love that story, btw. I can see you on a MISSION to get that last book. Rosey, I keep meaning to try some of her other stuff. I'm glad to hear you liked what you read. I read these! I don't know that I ever read the last one though, so I might have to revisit them! I loved these so much. I remember being frustrated when they started coming out in hc and I had to wait for the pb. I wrote a Retro Friday review here. I've seen these books around and I was wondering if they were any good. Now that you gave them a good review, I might have to pick up the first book soon. I've never read any of Tanith Lee's books. Oh Angie, I've secretly been waiting for you to do a review on these books. I found them back when I was in Jr. High and found myself rooting for Claidi almost instantly---especially with those lovely first lines. Livi, ugh, that is hard waiting. I hates it. I was lucky to get to start with the first three all out. Thanks for the RF review, btw! I love reading about these beloved books that deserve more attention. Chachic, this would probably be a good place to start then. KIKA, no way! Yeah, those first lines are enough to seal the deal. I'm glad you enjoyed them, too. I've never heard of this author, thanks for bringing her to my attention as these books sound wonderful. Isn't it funny how your perceptions of characters change throughout a series, but then in some cases you change your mind right back at the end. 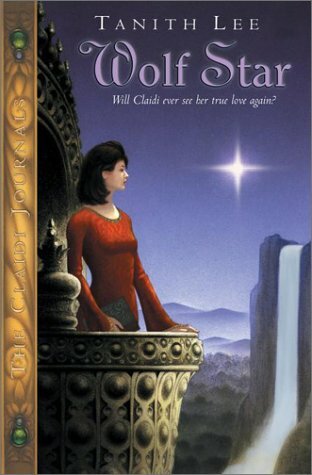 I've read a few of Tanith Lee's books but have yet to read this series, even though it's been tempting me for so long. She definitely has an interesting way of writing, which I like. Very off the beaten-path I think. Jodie, my pleasure. And that really is an interesting phenomenon. I've had it happen more than once but can never tell for sure when it's going to happen that way. PolishOutlander, do you have any you recommend? I'd like to know where to go next. Piratica was where I started with Tanith Lee and that's YA, along with her followup to that called Piratica II. No. Wait. Scratch that. The first book of hers I read was Black Unicorn, and then the Piratica books. Both books were fun reads, and just so different from what's out there now, especially the writing and language that she uses. I also read White as Snow, which is a retelling of Snow White. Definitely an adult book. I have her Secret Book of Paradys sitting on my shelf which is a beat of a book and also an adult book. Ironel speared me with her sad, cruel eyes. "What else is any of it? Yes, Claidi, you truly rid my City of the Law, and made it dull for my grandson Nemian. But there are other laws. Everything is subject to a law or a rule. How many will you break before you give up?" And i heard myself say, "Every one I can."